At Little Steps Pediatric Therapy, we’re always busy not only providing comprehensive pediatric therapy services but also finding additional ways to improve the lives of children one step at a time. In addition to Mickey, Minnie and the Elf on the Shelf visiting Little Steps this Sunday, December 9, we have some other projects in the works. Here are a few notable things going on within the next month or so at Little Steps. The holiday season is a great time to not just show appreciation and give gifts to your loved ones but also to reach out and help others. 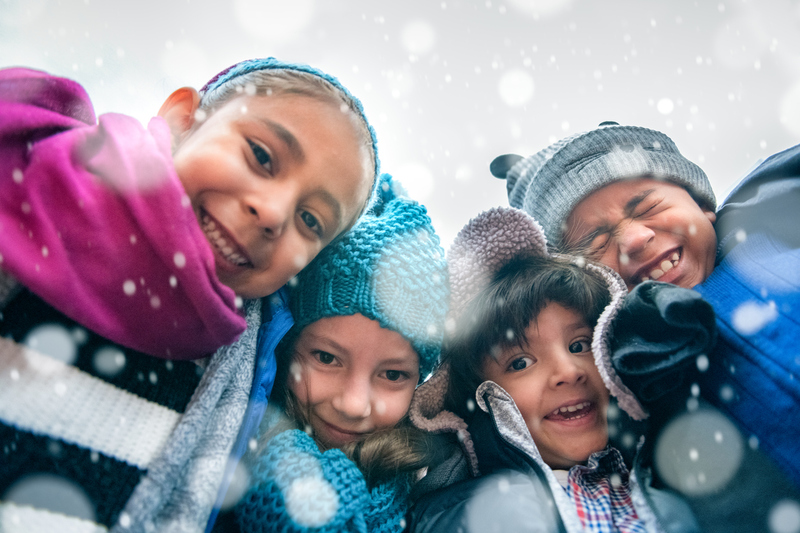 Our pediatric therapists are recommending families that they treat that could use essentials such as hats and gloves. Based on those recommendations, our team is gathering and giving those items to families in need. Social skill development is crucial to ensure children thrive at school as well as other settings. Gaining empathy, forming friendships, and learning how to effectively work in groups will help young children in both the immediate future and later in life. For kids who could benefit from working on their social skills through peer interactions, Little Steps is holding Social Skills camp from January 2-4. This three-day camp will help children learn a range of social communication skills. A speech-language pathologist and occupational therapist will support campers as they take part in activities and games, as well as snack time. 3- to 4-year olds: This group will meet from 9 to 11 a.m. each day. They will focus on greetings, asking a child’s name, sharing toys, asking friends to play, taking turns, and protesting if someone takes something away. 5- to 7-year olds: This group will meet from 11 a.m. to 1 p.m. each day and focus on commenting, asking friends to play, and asking questions and responding. Social Skills camp will take place at our Wilmette location at 1123 Greenleaf Avenue, and the cost is $125. To sign up for Social Skills camp and/or to learn more about Little Steps and our pediatric therapy services, don’t hesitate to contact us by calling 847-707-6744 or emailing info@littlestepspt.com.